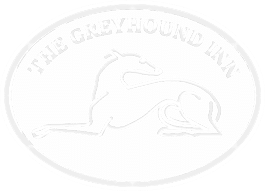 Over the past few years, The Greyhound Inn has established a reputation for itself as the most consistently popular venue for Christmas dining in Brackley. Our reputation is hard won, but we think it is borne out of the straightforward principles of excellent service, high quality food and drink, and a welcoming and comfortable environment. We’ve set our menus for 2018, and created what we believe to be a great blend of traditional festive fayre, as well as something for those who seek something a little different. We have a three course Christmas menu available from 30th November to 30th December 2018. Our Christmas events are popular and get booked up very quickly, so we advise you to book early, especially for parties of four or more. To book your Christmas party, call us on 01280 840608. Before placing your order please inform a member of staff if you have a food allergy.